NASHVILLE, Tenn.—For some Americans, dropping a check into the offering plate at church is a bit like having a Discover Card. Those are among the key findings of a new study on so-called “prosperity gospel” beliefs from Nashville-based LifeWay Research. For the study, LifeWay Research surveyed 1,010 Americans who attend a Protestant or non-denominational church at least once a month. 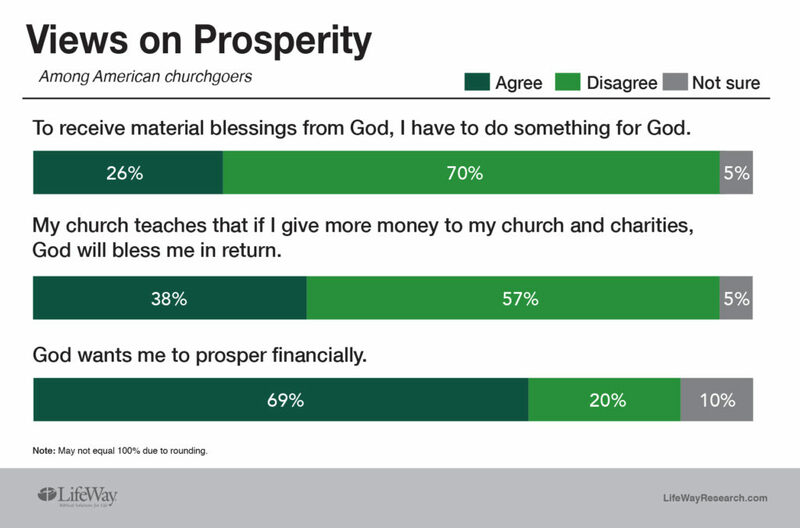 One in 4 (26 percent) agree with the statement: “To receive material blessings from God, I have to do something for God.” Seventy percent disagree. Five percent are not sure.